Are You Facing Wage Garnishment? When you can’t pay your bills, you know you’re in trouble. Creditors are probably calling you, demanding to be paid. You know you don’t have the money to pay them, but you aren’t sure what your options are. If this is the situation you’re in, it’s time to talk to a Washington attorney about how to get out from under your overwhelming debt. If you don’t do anything, you could be facing wage garnishment. Creditor can garnish your wages to collect debts that you owe them. To collect these debts, creditors file a lawsuit against you in court. If you lose the case, the court will issue a judgment against your income and other funds. After the judgment is issued, your employer or financial institutions are notified to garnish your accounts. This means that they take a percentage of your income or bank deposits and give them to your creditors until your debt is paid. 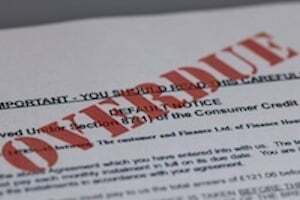 Most creditors need a court order to garnish your wages. This includes creditors who are trying to collect credit card debt, medical bills, and payday loans. Other creditors, however, do not need a court order to start garnishing your wages. If you owe child support, back taxes, or student loans, these creditors can garnish your wages without going through the court system. It’s important to know that, when creditors are trying to garnish your wages, you have rights and protections under the law. In addition, you have the right not to be retaliated against by your employer for having your wages garnished. Finally, if you believe that too much of your wages are being withheld and that you don’t have enough money to live on, you can contest the garnishment. To do this, you must file paperwork with the court to get a hearing. During the hearing, you will have to present evidence that you need more of your income to pay for necessities. The judge can either end the garnishment or allow it to continue. If you’re facing wage garnishment—or your wages have already been garnished—consider talking to a bankruptcy lawyer in Washington about your situation. You don’t have to be burdened by the cycle of debt any longer. Feel free to contact the Law Offices of Jason S. Newcombe today to learn your rights and options for getting rid of your debt.